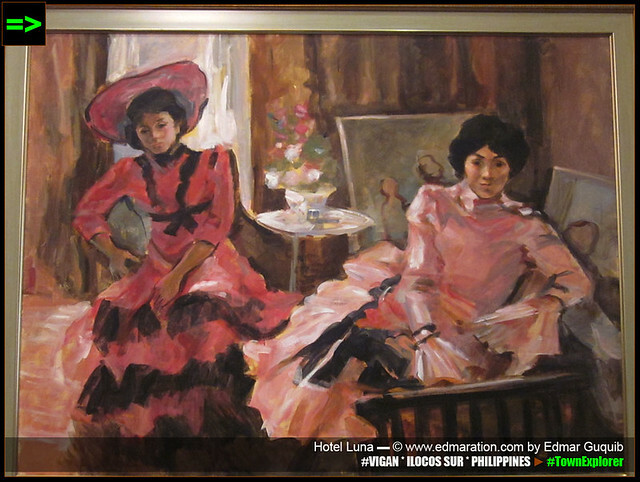 I can't believe when the museum-tour guide told me that the painting I am seeing is an original work of Juan Luna, one of the greatest Filipino artists in history. 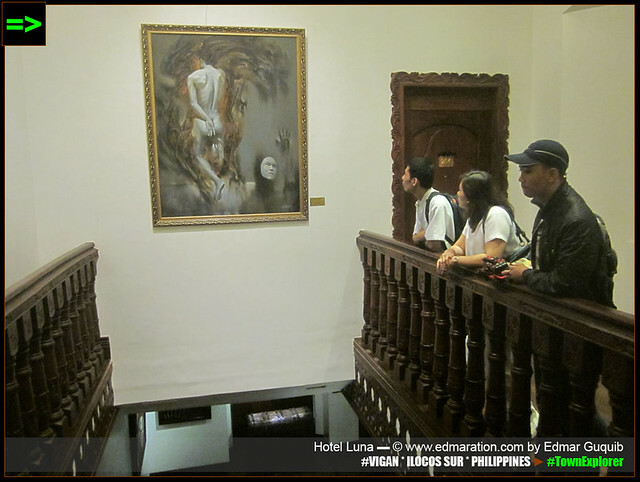 "I can't believe when the museum-tour guide told me that the painting I am seeing is an original work of Juan Luna, one of the greatest Filipino artists in history." 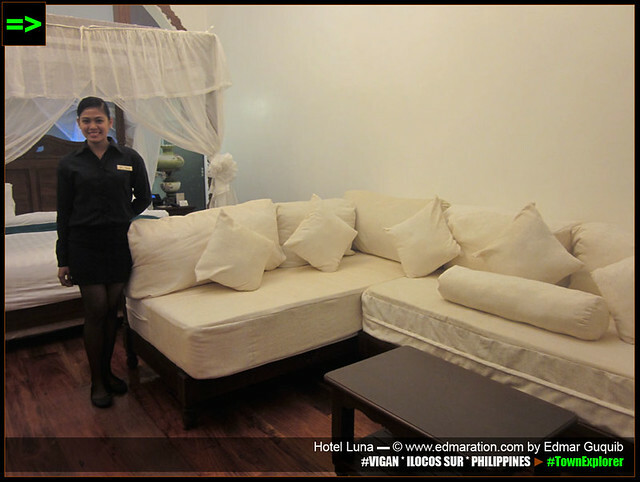 Hotel Luna is more than just a luxury destination. 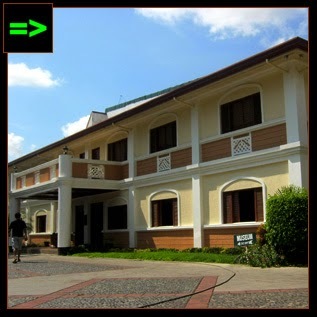 It is the Philippines' first and the only (as of this post) museum-hotel outside Manila. 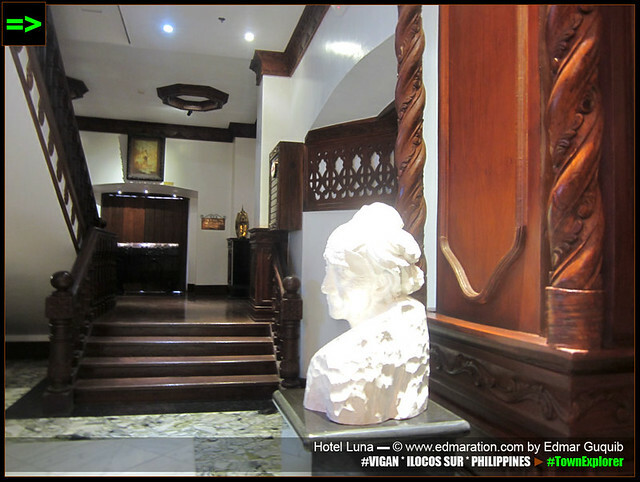 This ancestral house was converted into both a hotel and a museum. 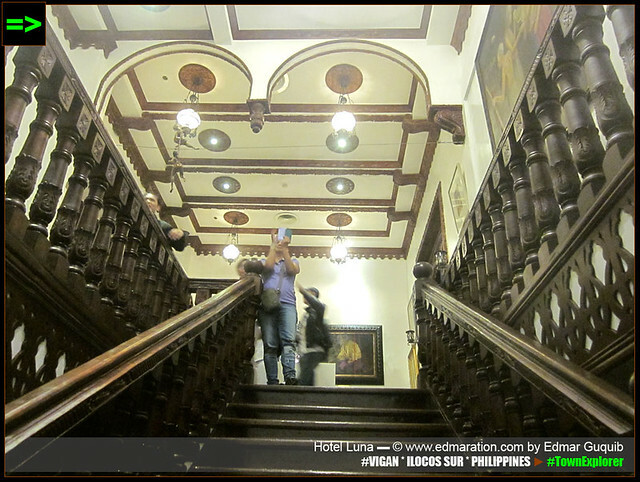 So what to expect in this museum-hotel? Scroll down and I'll reveal my discoveries. 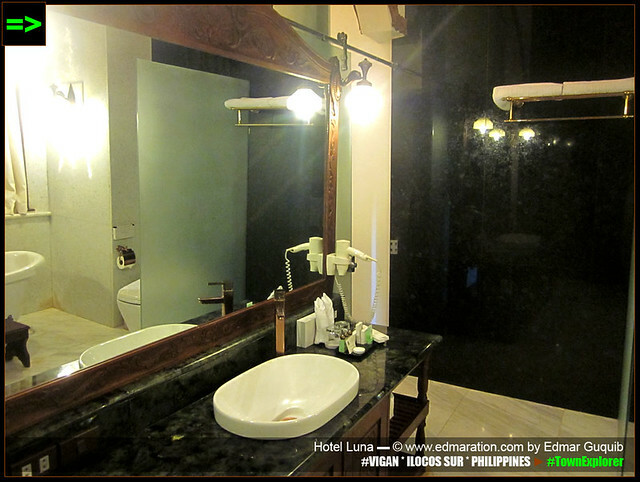 Expect Inviting Restrooms, Like You Can Really Rest: One thing I observed in Hotel Luna museum tour is the clean and inviting restroom near the main stair. Nope, the restrooms are not for rent but I used this F-O-S to describe how clean and comfortable their comfort rooms are that sleeping therein is not an issue should you wish to sleep. I didn't post what I saw inside so you have to see it for yourself. Expect a Sculpture Made from Chalk: Of all the sculptures I've seen inside Hotel Luna, this one is the most unique because it is made of chalk. Just don't dare touch it, you might break it. This can be more brittle than your post-break-up heart. 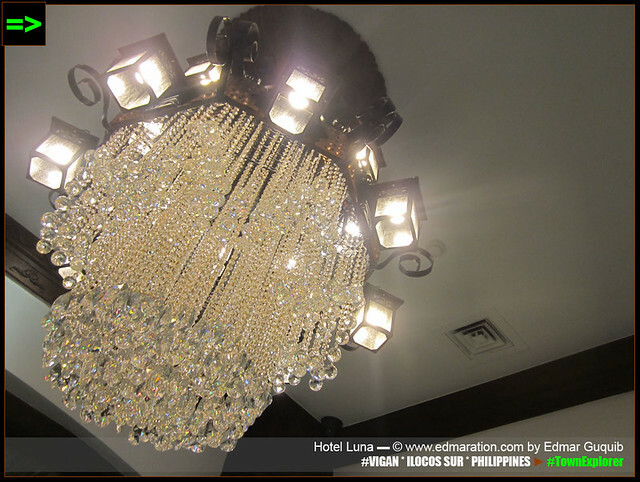 [VIGAN] Swarovski crystal, yes they're real. Expect Swarovski Crystals: Swarovski crystal might be hard to read and pronounce but they're real. 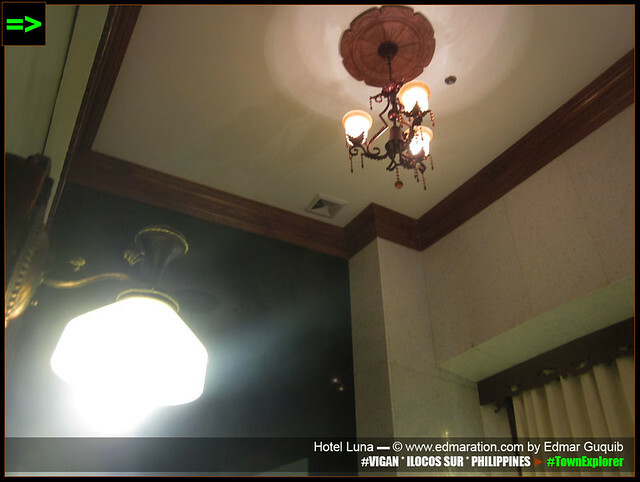 In fact, the chandeliers of Hotel Luna are made of Swarovski crystals all the way from Italy! Your Swarovski necklace has nothing to say with this. Flaunt it when you're outside. Expect Napoleon Velasco Abueva's Artwork. 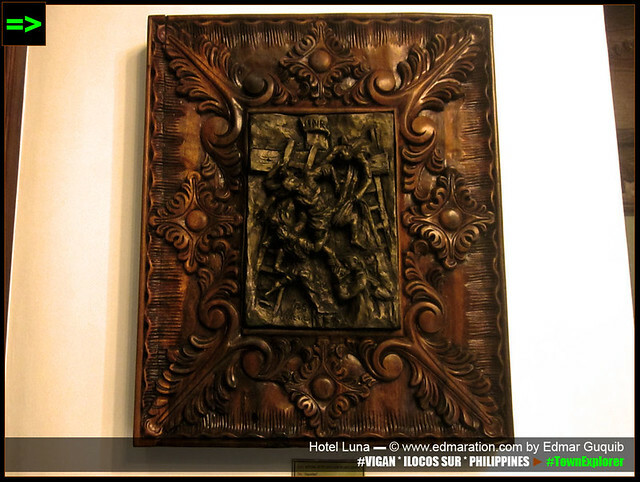 This one is called deposition, an original artwork made by Napoleon Abueva, a national artist. It is described as a small-scale relief of Christ's deposition from the cross. 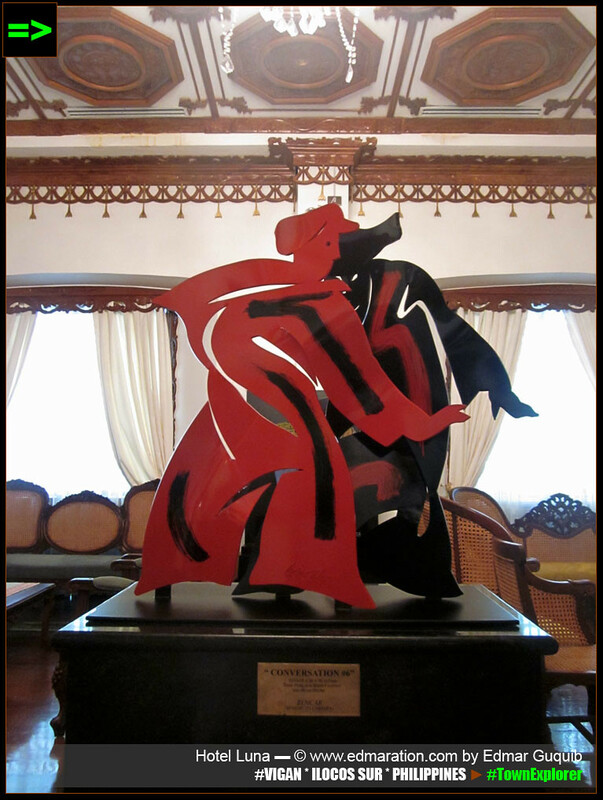 In 1976, Abueva was proclaimed as National Artist of the Philippines for Visual Arts by then President Ferdinand Marcos. He was the youngest recipient of the title at age 46. 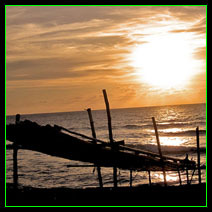 Expect a Baul with Treasures. Treasures are not limited to precious stones. 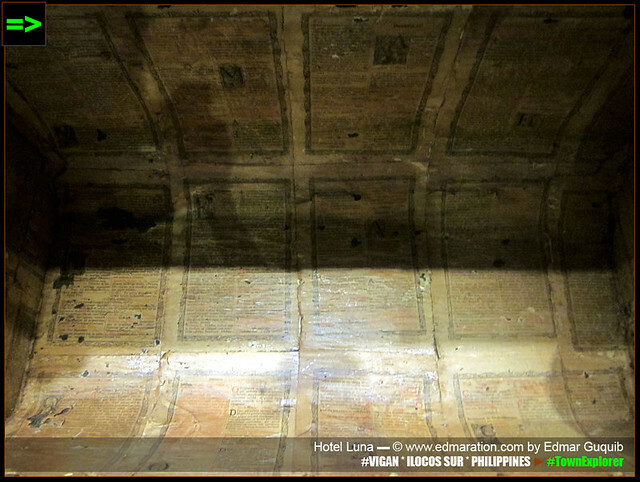 In Hotel Luna, a treasure box that is older than any human being living on Earth is saved from total destruction. It contains printings written in a foreign language. 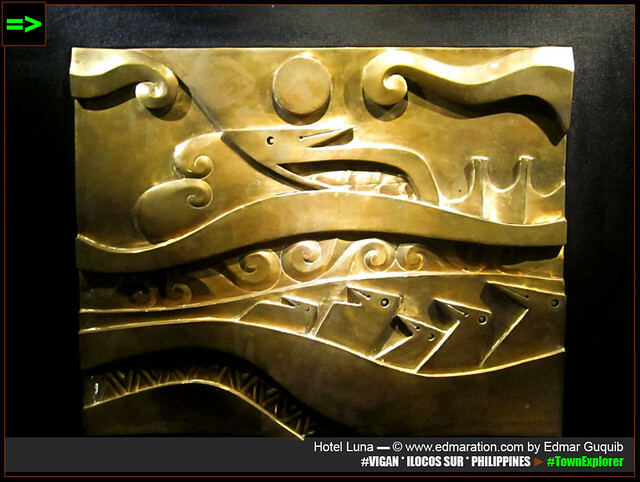 Expect Sarimanok Alloy Sculpture: The legendary bird from the Maranaw people of Mindanao has a place in Hotel Luna Museum. Sarimanok is known to be a bird with colorful wings. 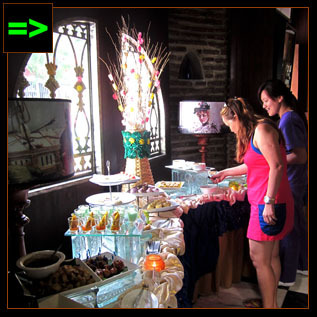 "Sari" in Maranaw means a garment with assorted colors. This one in Hotel Luna is unique because it is metallic and it does not have assorted colors. 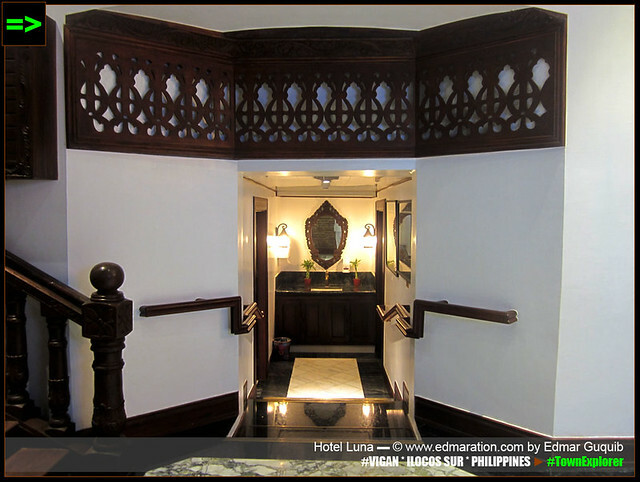 Expect an Original Stair: The wood stairway in Hotel Luna is the original stairway that was built a long time ago. 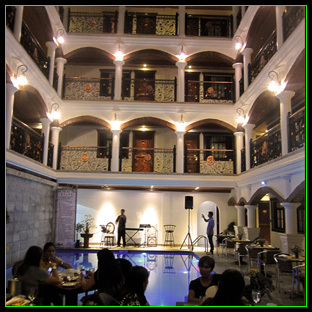 From here, you can imagine how the wealthy mestizos lived in Vigan centuries ago. 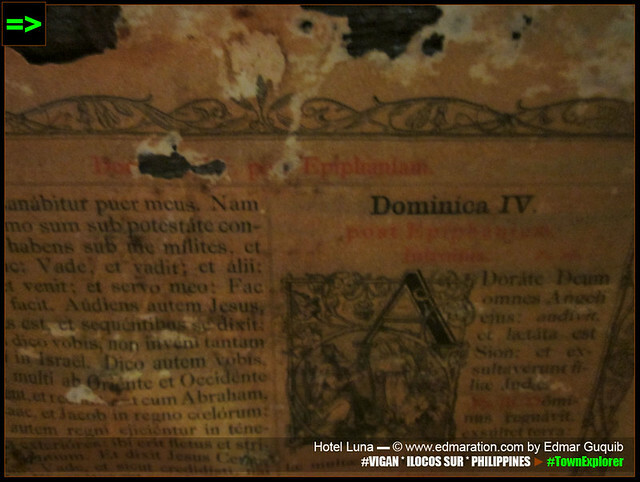 This is older than the love life of Pilita Corrales and Gloria Romero. Grow old, neophyte. 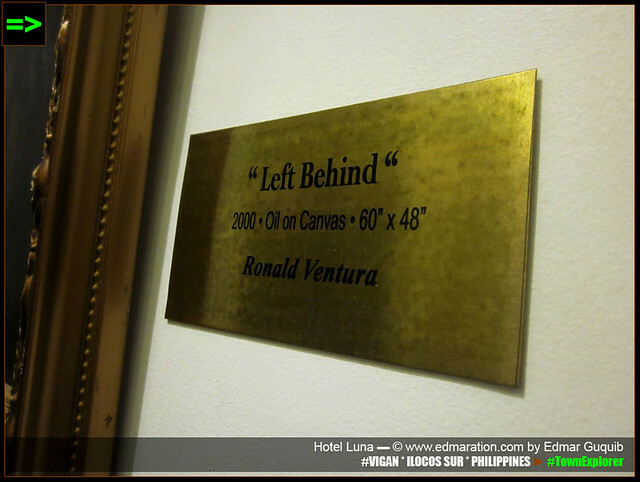 Expect a Multi-Million Ronald Ventura Artwork: This painting (called "left behind") is a creation of Ronald Ventura. 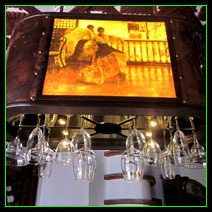 It's a multi-million-peso contemporary artwork obtained through auction. Ronald Ventura holds the highest Asian auction record at 11.8 Million Hong Kong dollars for his painting Grayground as reported by the New York Times. 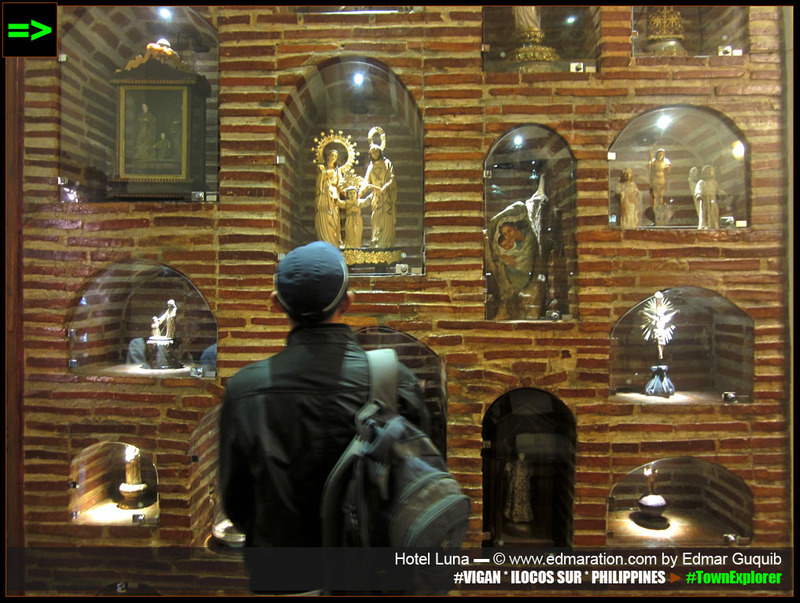 [VIGAN] Surreal. 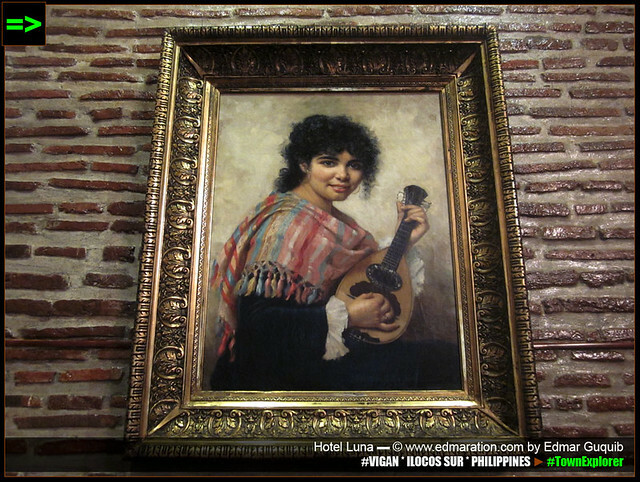 Like I can't believe it's a Juan Luna artwork. 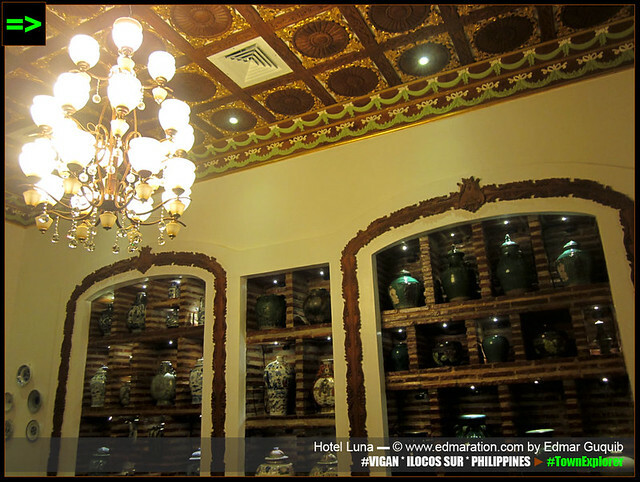 Expect an Original Juan Luna Painting: I can't believe when the museum-tour guide told me that the painting I am seeing is an original work of Juan Luna, one of the greatest Filipino artists in history. Better see this than seeing a romantic flick knowing you don't have a love life. Awkward! 10. 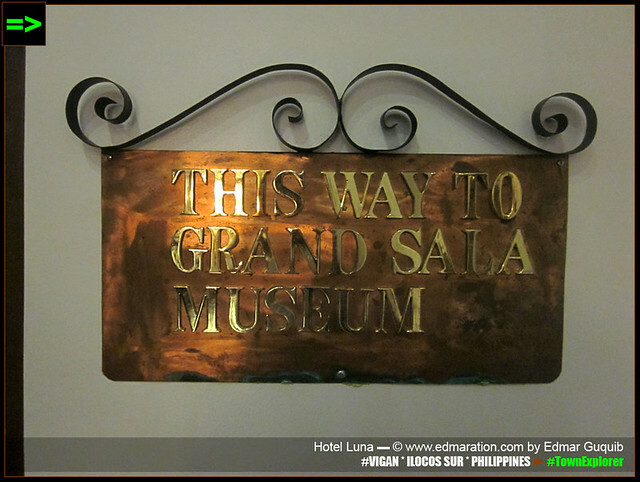 Expect a Grand Sala: The grand sala museum houses the greatest paintings in Hotel Luna. 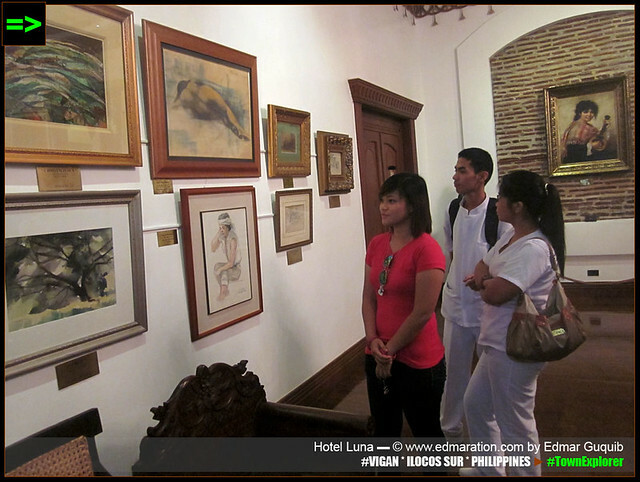 Included in the sala is an original sketch of Fernando Amorsolo and the painting of Juan Luna (9). 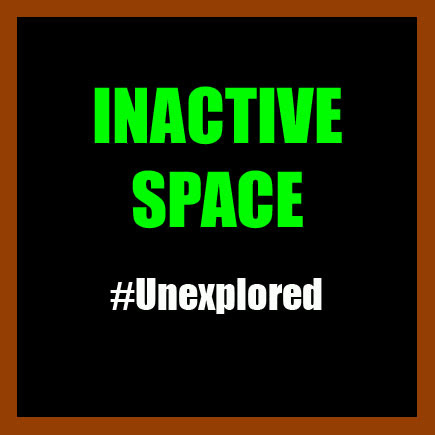 The area is constantly monitored by a house detective. Artworks here are way more precious than Kris Aquino's talk-of-the-town failed relationships. 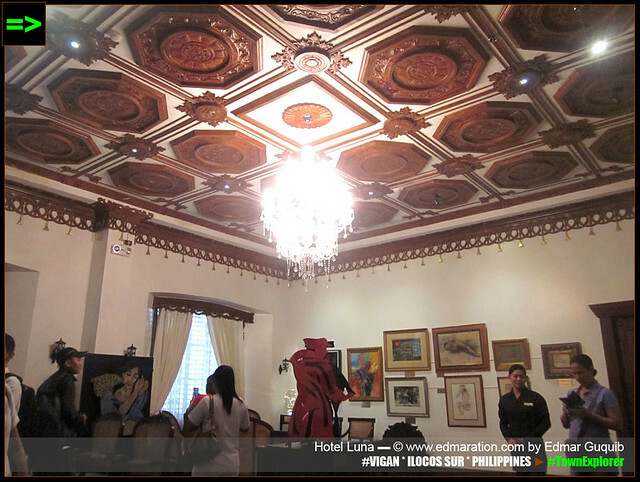 Expect a Ben Cab Creation: Benedicto Cabrera aka Ben Cab also has a space in this museum-hotel. 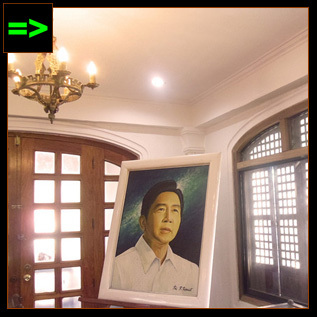 The latter is a national artist for visual arts. This work is located at the center of the grand sala and it's made of steel. 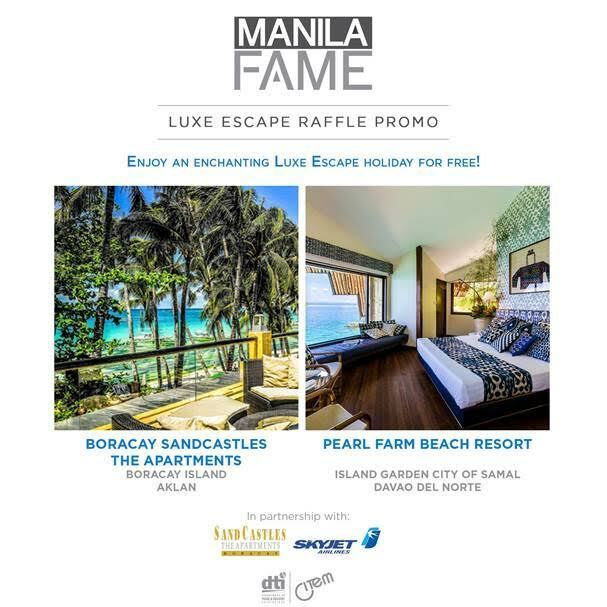 Expect an Executive Suite: Part of the museum tour of the hotel is the chance to see its executive suites which cost P12,500 for a day of stay. 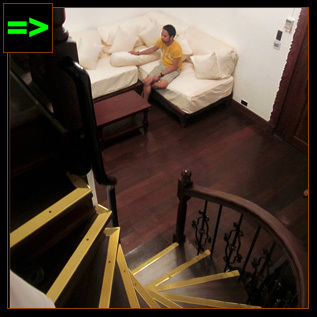 One of the prominent people who stayed here is Sen Antonio Trillanes IV. Don't think he went here with a woman, he was actually with a group of men. 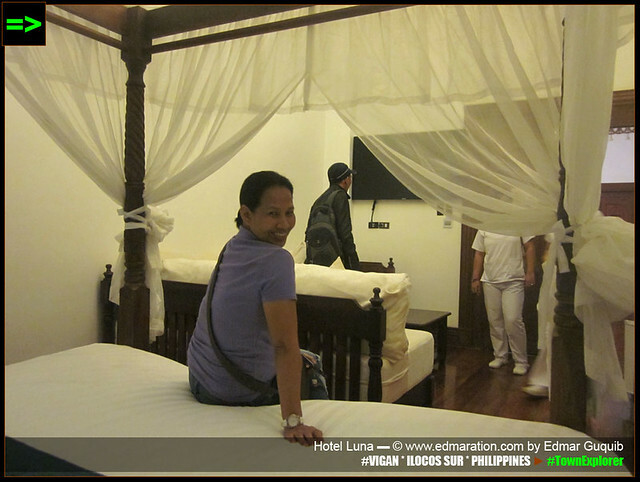 The executive suites have beds replicating what was used by the elite mestizos during the Spanish-era here in Vigan mixed with the convenience and advantages of the modern technology. Expect Ivory Collections: Aside from the great paintings by prominent artists of the past, I was also fascinated by the ivory collections kept in a special room. There is also a great collection of religious relics. Go see it for yourself. No items were broken so they wouldn't remind you of your broken heart. 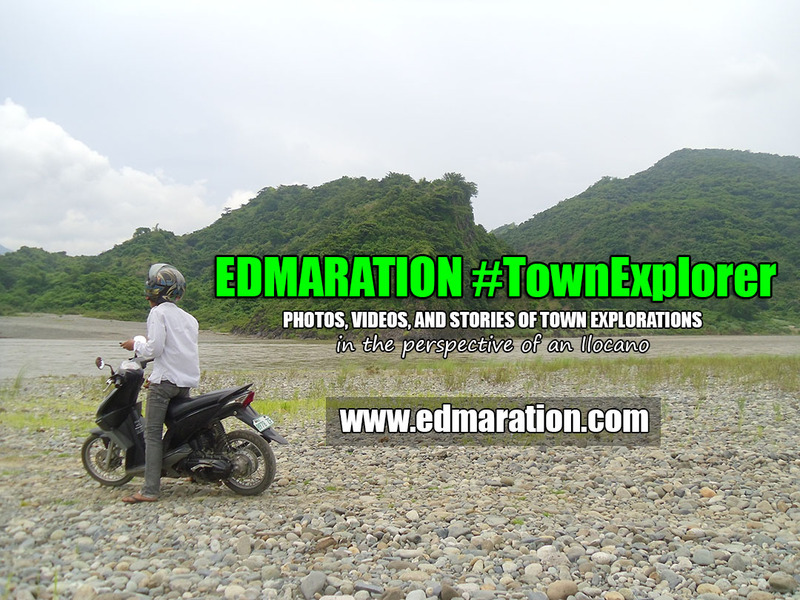 TEASER: "It is a place where I found the authentic answers to my questions." TEASER: "Now I know how the weapons during World War II looked like, before my eyes. 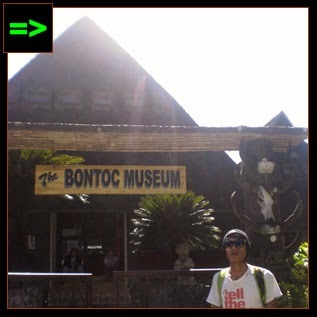 In this museum, it will feed your curiosity if ever you bring that." 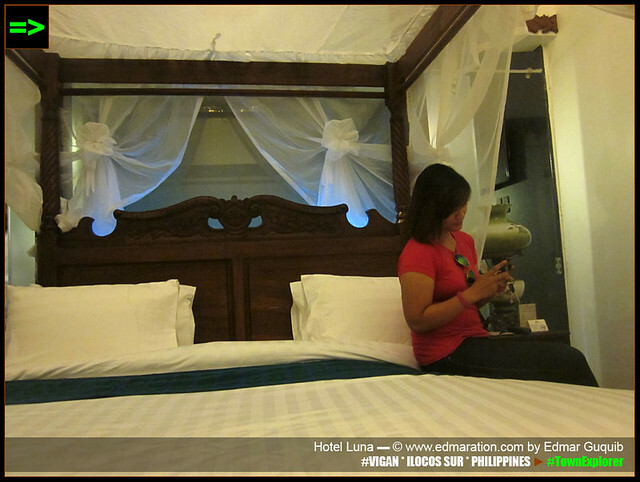 TEASER: "That body is waiting to be buried at the Libingan ng mga Bayani. It is open for public viewing, but it is actually private. Uh, quite confusing, hard to reconcile but it actually exists."